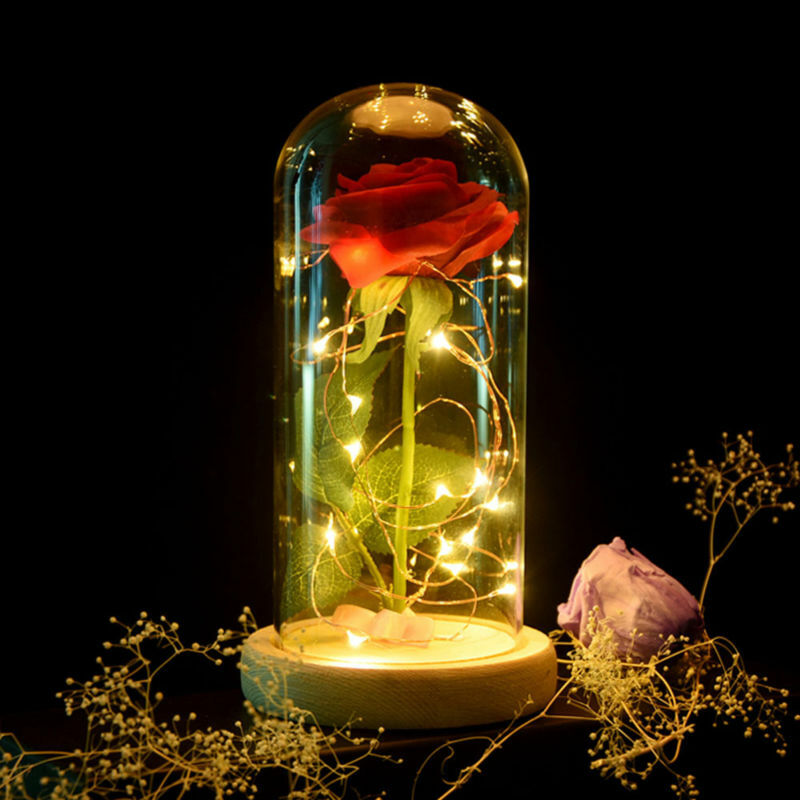 Any Beauty and the Beast fan will surely be thrilled by this Enchanted Rose Flower Lamp! The red rose will be an eye-catching addition to any room in your home. The lamp is made using quality materials and led lights. The handcrafted nature of this product creates variations in color, size, and design.